Many things happened this past week but I have not been writing here because I was not well. Now I'm feeling a bit better. Well, let me start with the Semenyih by-election which is now entering the final phase of its campaigning period. I was there on the ground to look around a bit, so maybe I can tell you all what I saw and heard. I think it's going to be close with BN having a slight advantage. I say "slight" because PH has a relatively huge over 8,000 majority in GE14 less than a year ago. It's not going to be easy to turn that around, especially in a by-election. As I previously pointed out, I remember only three by-elections where the incumbent lost - Lunas in 2000, Kuala Terengganu in 2008 and Teluk Intan in 2014. Still, the campaigning on the ground, as I saw it indicated that BN has more than just a chance to win. Well, there's the apparent general dissatisfaction of the Malays who are the outright majority (68 per cent) there towards PH for its unfulfilled promises and tilt towards abolishing their rights. It was also said that the BN's choice of candidate was more agreeable to them than the one from PH. 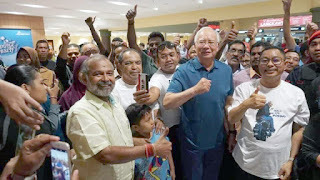 Then there were talks that many Indians there are switching side to BN because they were unhappy for not really getting much after PH won GE14. Some of the Chinese were said to be unhappy too. Well, that's what they told me. As I see it, the BN's campaign looks not so bad at all despite some stupidities such as the one on nomination day. I guess the reemergence of personalities who screwed up BN's GE14 campaign this time should be expected. 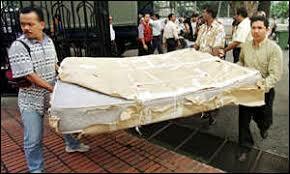 After the win in Cameron Highlands they must have felt that they can make a comeback and start leeching again. 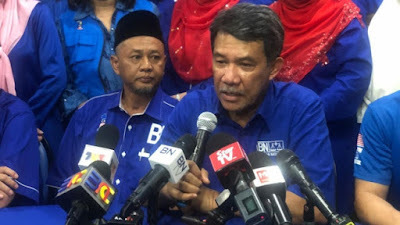 Hopefully Mat Hassan is smart enough to stop them so that BN and Umno could have a better image without such characters in future. Despite such hiccups, BN campaign still looks better than PH. 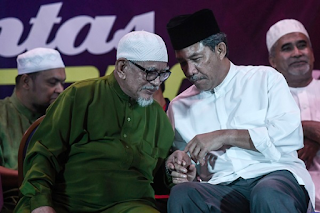 The cooperation between BN and Pas also looks good despite Dr Mahathir's earlier assertion that it's not going to be so. I even met outstation Umno and Pas people who were staying and campaigning together at a kampung there. Well, I think I'll update this by-election later as I'm planning to go to Semenyih a bit more before polling on Saturday. Meanwhile, the PH ministers continue to be not so intelligent. Come on la, even if it's for real, try la not to talk about it before we really have it. Or at least wait until you got all the details together. Now I'm feeling so bad for previously calling Ahmad Maslan stupid. If PH really lose in Semenyih, I dare to say that it's partly due to these sort of stupidities on the PH's side. See, BN and PH both have their stupid parts. All the same, actually, except this flying car thing being a bit on the extreme side. Ehh, I need to get up and get ready for work now. Will try to write again tomorrow. So, Shafie Apdal is not going to have his own little kingdom. I think Dr Mahathir saw the guy is trying to set up one and decided not to let him. I also think that the move was because Dr Mahathir wants to strengthen Pribumi Bersatu in face of the growing Umno-Pas alliance threat. Whatever it is, Shafie and others, particularly DAP were obviously upset. Of course, Shafie was upset because with Dr Mahathir's party there, he can't have Sabah the way past leaders such as Tun Datu Mustapha had it. Shafie is not known to be an incorruptible leader when he was with Umno. Dr Mahathr knows this and he has to make sure Sabah will not be the guy's private property. I think many Sabahans agree with that as they don't want Shafie to be a Sabah king. As for the Sabah DAP guy getting upset, that's probably because what ever lucrative thing he had kowtimed with Shafie will not work out now. With Dr Mahathir's people there they can't do as they please. Ya, that's why they were unhappy. Meanwhile, DAP leaders in the Peninsular seemed upset too. Lim said just like the admission of former Umno members into PPBM, the decision to venture into Sabah should be discussed by the Council as agreed by Prime Minister Dr Mahathir Mohamad himself. 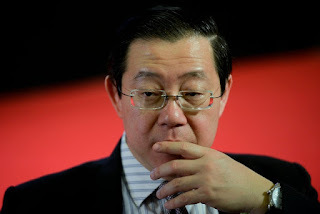 Hmmmm....Guan Eng telling Dr Mahathir what the handsome old man should and should't do. I think he is begining to realise that Dr Mahathir is not exactly going to let DAP control him. 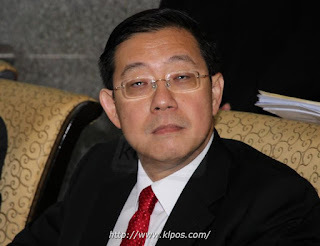 Guan Eng and gang must have thought that Pribumi Bersatu having so few seats in parliament will be easy to manipulate, especially in breaking up the Malay/bumiputera majority power. They must have want it to remain that way. Pribumi Bersatu with Dr Mahathir at its helm is more effective as a stooge for that purpose than Amanah or even Pas during the Pakatan Rakyat days. I believe that's why Guan Eng doesn't want Pribumi Bersatu to be stronger by way of absorbing the Umno turncoats or expanding to Sabah. Well, I don't think Dr Mahathir really care about all that. After almost a year in power now, he too probably realised that DAP, PKR, Amanah and Warisan are actually quite useless as a government. The signs are all there to see now with all sort of councils being set up every now and then to manage the country where the Cabinet can't. Dr Mahathir knows that he needs to strengthen Pribumi Bersatu to survive at least the coming four years before the next general election. Otherwise, he and his party will diminish to nothing. They said a person will be most remembered by what he/she is at the end. 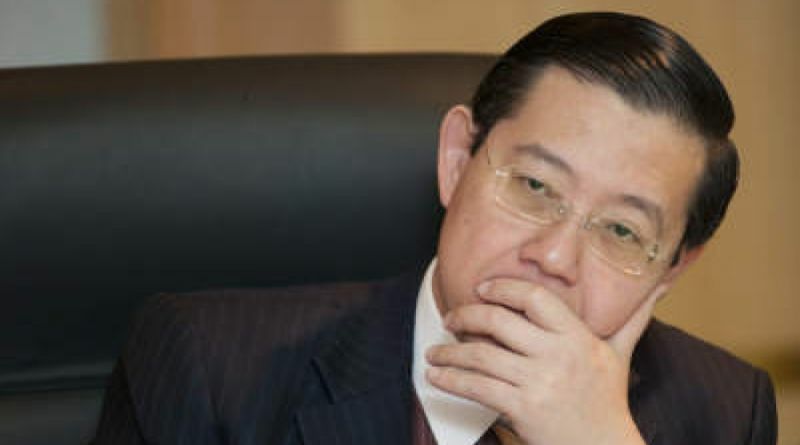 I don't think Dr Mahathir wants to be remembered in Malaysian history as a leader of a small Malay party which abides by the wishes of someone like Guan Eng. Not been in the mood over the past few days because I was pissed off over something. I'm terrible when I'm pissed off. Really. Actually, I'm still not in the mood. So, I'm just sharing this raw one which was forwarded to me via WhatsApp by a journalist friend who was in Semenyih today. 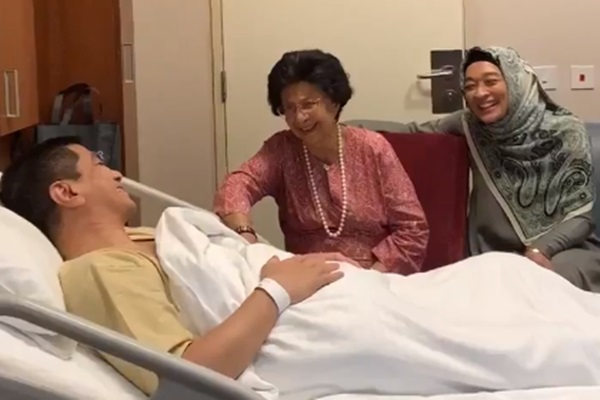 kempen PRK semenyih diurus oleh bilik gerakan kita yang mana kita bersama2 dgn rakan komponen BN dan dibantu oleh PAS. So kita ada PDM dikenalpasti dan siapa jaga...begitu juga dgn pihak PAS pun mengikut sama. Contoh kata kalau peti undi A tak angkatnya di bahagian Tanjong Karang BN, maka T.Karang PAS akan ambil sama utk tujuan kempen bersama, eratkan silaturahim lagi dan persahabatan antara 2 parti supaya selepas ini kita tidak berakhir setakat PRK tp kita nak supaya agenda punya tuan rumah, agama, bangsa dan negara ini dapat diperkasakan lagi. Q: gempur kawasan BN keutamaan mana? saya tak ada keutamaan gempur orang atau tidak. Kita tak mengempur siapa2, ini pilihanraya kita buat kerja, ajak undi, memupuk supaya beri kita peluang supaya dalam DUN. Kalau BN menang pun tidak kan mengubah apa2, tapi ia akan menjadi sebagai wakil suara rakyat yang suarakan isu2 perlu diketengahkan supaya kerajaan tidak terlalu kuat. Bila kerajaan terlalu kuat, macam di Selangor ini, tiada suara kita tenggelam makanya suara rakyat kadang2 diketepikan. Agenda politik dilebihkan daripada agenda membela rakyat dan juga lain2. Jadi ialah mustahak bagi PRK semenyih ini supaya mandat diberikan kepada BN supaya kita dapat membawa suara kita, lebihkan suara. Walaupun tak mengubah struktur kerajaan, dia tak jadi kudis kepada PH. Tapi kepada rakyat, ini satu kemenangan untuk kita dapat lagi satu saluran untuk adanya wakil rakyat yang bawa isu rakyat. Q: 7K pengundi india for BN? (xdengar sangat) saya harap semua rakyat pengundi di Semenyih keluar mengundi BN kerana ini penting. 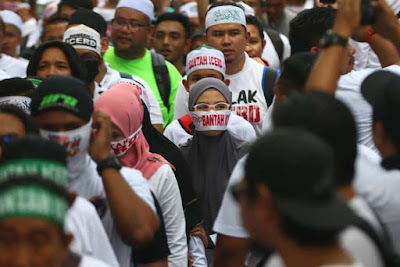 Bukan nak ubah struktur kerajaan, tetapi bawa suara rakyat. ... Calon tiada apa2 kempen program, dia akan ikut kita program kempen yang telah dijadualkan. Belau juga akan jumpa seramai mungkin orang di pasar malam, atau jumpa ibu bapa lepas sekolah dan macam2. Yang penting calon kita letak ini ialah calon masyarakat, bukannya calon yang jadi roket saintis, yang xkenal orang, yang tak mau campur, yang kekok dengan orang. Yang ni memang calon dah bersama dengan masyarakat. ... Kita pilih calon yang amat sesuai kerana di DUN ini wakil rakyat mesti bersama dengan masyarakat yang boleh mengutip isu dan selesaikan masalah. Not so much on going to Parliament, di Parlimen kita bahas RUU...tp di peringkat DUN kita tidak menggubal undang2, cumanya kita mesti menjadi seorang wakil rakyat yang boleh dan sesuai bercampur dengan masyarakat. Honestly, I never really know Mat Hassan, but I think I like this style of his. Cool, humble and intelligent. And I think he's quite honest too.